How Large is Your PLN? This acronym has two versions and both are important. 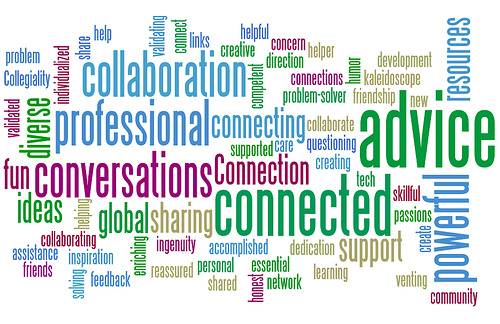 PLN can be either a Professional Learning Network or a Personal Learning Network. While it may seem to have arisen along with social networks, the concept has been in use long before the Internet, although the term didn’t exist. Connecting with colleagues to seek their advice or help on a professional issue has always existed. At first it was within an office or school. I can remember reaching out to a school librarian when I was planning to automate my library in 1993. The telephone was my link. I had already begun building a large Professional Learning Network by becoming an active member first in my state’s school library association and soon after in AASL. Social networks have made extended these connections. Numerous library associations have Facebook pages. National and state organizations also have listservs, and, of course, there’s LM_NET which has been a vital listserv for many school librarians who know how to manage the large amount of email messages. Have a problem? A question? Just put it out on one or more of these and advice and help from experience practitioners will soon help you resolve it. Sometimes you aren’t looking for anything, but a post gives you an idea. I was just on the NYLA/SSL Facebook page and there was an illustration of Barbara Stripling’s inquiry model. I will be teaching a course in the fall which will discuss inquiry-based learning. I asked the person who posted, if she would send it to me for this purpose. She did, and I will be using it with attribution to her and Barbara Stripling. Members of Google+ TL Chat share what they are doing with software and other resources you may not have heard of. Just click on the post and find out more. If necessary, post a question. Twitter and LinkedIn groups offer other sources of information to grow your PLN. 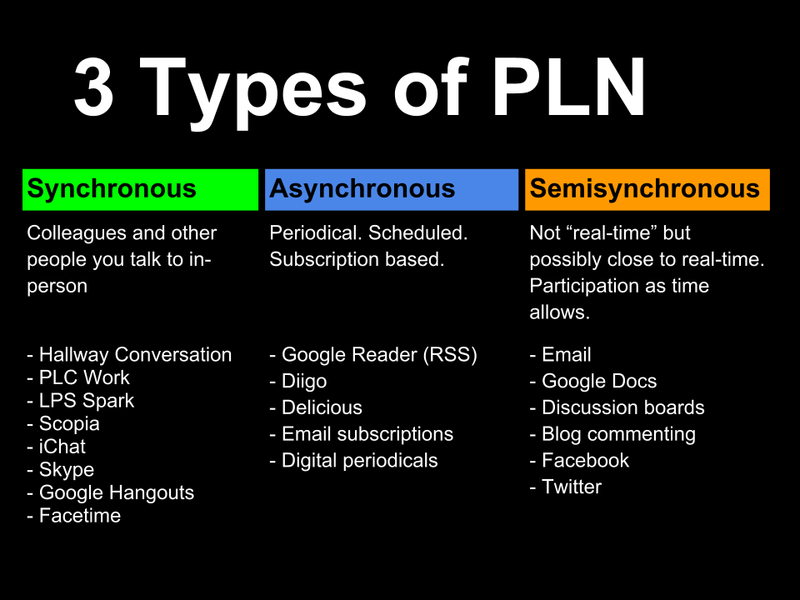 Personal Learning Networks are a mix. The greatest number of people in my personal learning network are fellow librarians who are also my friends. I know them well even if I only see many of them at conferences. We are always available for each other. They are my friends on Facebook so I am always keeping up with their lives—professional and personal. In person and online, we can get involved in discussions about issues arising in the profession. Occasionally this leads to developing a project together or creating a workshop or presentation for a conference. We know each other well enough to make drawing on each other’s specific area of expertise a natural part of the collaboration. The remainder of the people in my Personal Learning Network are non-librarian friends. 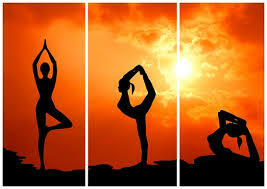 Recently, I became interested in yoga for people with limited mobility. I am a good librarian and researcher. I could have spent time investigating this on my own. Instead, I reached out to a friend who has been attending yoga classes for years. She loved exploring this. Soon she was sending me information about programs on television and chair yoga classes at a local Y and through the local park service. Because she had a yoga PLN, she was able to let me know which had good teachers and the pros and cons of each option. She also sent me illustrated directions for doing chair yoga at home. I now have a number of options without expending much of my own time. Knowledge and information keep expanding at a rapid pace. You can’t do it all by yourself. Remember this is a two-way street. Often you are able to respond to someone else’s query. You are continually getting and giving in our participatory culture. Being a school librarian today requires you to keep up with the constantly changing technology landscape. PLNs – both professional and personal, are the way you can do it without feeling lost. How big is your PLN? How are you going to make it bigger?